In recent months, the need to lower prescription drug costs has become increasingly apparent. Despite tough rhetoric from President Donald Trump, drug prices continue to soar under his administration. Last year, nearly 30 drug companies announced that price increases would take effect in January; Pfizer alone announced that it would raise the prices of 41 drugs. Critical medications, such as insulin and opioid addiction treatments, have already seen dramatic price hikes this year. These rising prices continue to take a toll on patients. In a 2018 poll conducted by the Kaiser Family Foundation, 24 percent of respondents reported that they or a family member had not filled a prescription, cut pills in half, or skipped doses due to cost. Americans are ready for change. 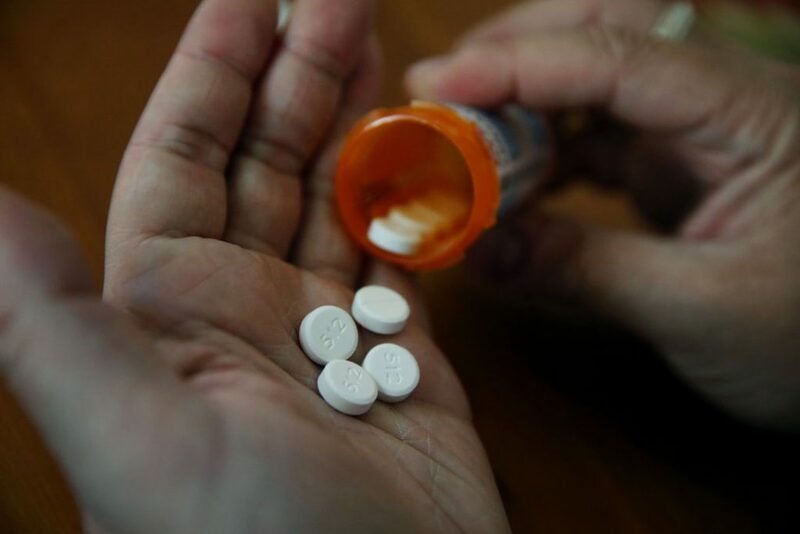 In fact, in a recent poll by Harvard University and Politico, 80 percent of respondents said that they want Congress to act to lower prescription drug prices, ranking it as their top priority for 2019. Indeed, progress on this issue has already been made. The new House majority wasted no time to address high drug prices, quickly launching an investigation of price hikes under 12 key drug companies. Moreover, lawmakers have recently proposed a variety of reforms to tackle rising drug prices, for example, setting parameters for Medicare negotiation, increasing generic competition, and capping out-of-pocket costs. Congress now faces the task of weaving together these various reforms into comprehensive legislation. This column outlines key principles for a comprehensive drug pricing legislation that would benefit all Americans. As it stands, drug manufacturers enjoy monopolistic market power and set prices as high as they possibly can. As a result, many of their drugs launch with huge price tags despite little added innovation. Even when manufacturers do account for the value of their drugs, it is largely based on their own studies and data—which are often not made public. There are two main problems that comprehensive legislation should address. First, launch prices of new drugs—and specialty drugs in particular—are often exorbitant and unrelated to their added value. Specialty drugs are medications that treat complex, chronic, or life-threatening conditions, such as autoimmune diseases and many cancers. They are often more complex to manufacture than other prescription drugs, require special handling or administration, or require ongoing monitoring and clinical support. While manufacturers cite these challenges to justify specialty drugs’ sky-high prices, launch prices are still excessive: On average, they are 37 times more expensive than traditional prescription drugs. Even when comparable treatments are already available, many specialty drugs enter the market at unreasonably high prices. For example, the pharmaceutical company Amgen initially released its cholesterol drug Repatha at a list price of $14,100 per year. However, the Institute for Clinical and Economic Review (ICER) found that, given the availability of lower-cost treatments with similar effects, the drug should cost about 85 percent less than this list price. Amgen subsequently announced that it would be reducing the price of Repatha by 60 percent, to $5850, indicating that the initial price did not actually reflect the drug’s value—as ICER determined. Sovaldi—a hepatitis C drug—offers another example of inflated launch prices. When initially approved, its manufacturer—Gilead Science—priced the drug at a staggering $1,000 per pill, or $84,000 per treatment. This decision ultimately spurred an 18-month Senate investigation, which revealed that Gilead set the price for Sovaldi based on factors such as how high the price could be increased before attracting the attention of Congress; of course, the manufacturer misjudged its ability to remain unexposed. The second problem that meaningful drug legislation must address is drug manufacturers boosting their profits through price gouging of existing drugs. By definition, these price increases are largely unrelated to value or innovation because the drugs have already been developed. Some of these price increases are for brand-name drugs that still have patent protection; others are for generic drugs—often in cases where only one or two generic manufacturers have entered the market. Insulin, for example, has seen price hikes year after year. A recent study by the University of Pittsburgh found that Lantus insulin saw a 49 percent price increase in 2014, despite being on the market for more than 10 years. First and foremost, legislation should lower costs for all payers and benefit all Americans. It should address the problem of stratospheric prices for seniors, as well as for middle-class and lower-income families. Private insurance, which covers 56 percent of the U.S. population, accounts for 42 percent of drug spending and is one of the main drivers of premium increases. Therefore, a comprehensive solution cannot focus solely on Medicare; it must also take private insurance into account. In addition, the following principles would ensure that prices for new drugs reflect their value and that price gouging on existing drugs is eliminated. In 2012, pharmaceutical company Sanofi introduced its colon cancer drug, Zaltrap, at a list price of $100,000 per year. Despite this hefty price tag, the drug only increased survival by an average of 1.4 months—the same amount of time as the existing but less costly treatment Avastin. As a result, Memorial Sloan Kettering Cancer Center, a major treatment center located in New York City, refused to use the drug, citing that it was twice as expensive but no more effective than Avastin. In response, Sanofi announced that it would offer discounts that cut the price in half. In this case, both of the value-based pricing measures outlined above would have prevented Zaltrap from hitting the market at this staggering cost. Under the Negotiation Plus framework, negotiations would be informed by independent assessments of value and innovation. Congress would set standards for U.S. nonprofit organizations to assess the value of drugs, ensuring that these parties are free of conflicts of interest, have transparent methodology, and enforce board representation standards as well as clear priorities for which drugs to assess. Examples of such organizations might include the Institute of Medicine (IOM), the Patient-Centered Outcomes Research Institute (PCORI), or the Institute for Clinical and Economic Review (ICER). The Institute for Clinical and Economic Review (ICER) is a nonprofit organization that independently evaluates the clinical and economic value of prescription drugs and other medical innovations. In 2015, ICER launched a new drug assessment program to evaluate new drugs—particularly specialty drugs—selected based on their potential to change patient care or affect health system budgets. ICER publishes detailed reports, including a value-based price benchmark for each drug based on the benefit that it provides to patients. There are a number of real-world examples that the United States can draw from. Several countries in Europe already assess value when regulating drug prices and, as a result, see far lower prices than the United States. For example, Germany imposes a thorough assessment process when a new drug hits the market. The analysis measures whether the new medicine has an “added therapeutic benefit” over other medicines treating the same condition. If it does, then the reimbursement price is negotiated based on the price of these existing treatments. If no added benefit is found, the new drug is given a “reference price,” meaning it will not be reimbursed at a rate higher than comparable treatments. Congress must also limit price increases for existing drugs based on health care inflation or the medical consumer price index (CPI-M). Price increases that exceed a limit linked to these measures should trigger reporting by the manufacturer, as well as civil penalties, a tax on corporate profits, or rebates. Manufacturers already pay additional rebates to the Medicaid program when their prices rise faster than general inflation. The Medicaid Drug Rebate Program guarantees that, in exchange for covering a manufacturer’s drugs, the Medicaid program receives the lowest net prices available to private payers. Proposed legislation has expanded on this idea. For example, in May 2017, Rep. Jan Schakowsky (D-IL) introduced legislation that would address price gouging by requiring manufacturers of certain drugs and biological products to report significant price increases to the Department of Health and Human Services. This would apply to any drugs with a wholesale cost of at least $100 per month that see price increases of 10 percent or more over a 12-month period, or an increase of 25 percent or more over a 36-month period. Manufacturers that fail to report such increases would be subject to a civil penalty. It is critical for Congress to put an end to skyrocketing drug prices. The drug industry has gone unchecked for far too long, and Americans are hurting because of it. In addition to giving patients better access to lifesaving treatments, lowering prescription drug prices would help bring down health insurance premiums and better ensure families’ financial security. By following the principles listed above, comprehensive legislation can provide all Americans with access to affordable prescription drugs. Madeline Twomey is the special assistant for Health Policy at the Center for American Progress.